Our guest today is Roger M. of Huntington Beach, California. Roger is a member of the Speakers Bureau of our International Christian Recovery Coalition. He is a Christian Recovery leader who has attended just about every conference and meeting that Ken and I have conducted over the past three years. And the bottom line is that he has made it a task to absorb as much information as possible about the Christian origins, history, founding, original “Christian fellowship” program, and successes of early Alcoholics Anonymous in Akron, Ohio. More important, he passes this information along to others as widely as possible--particularly in Orange County and elsewhere in Southern California. 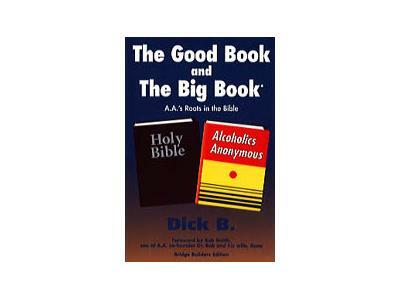 For those who wish to know how the A.A. meeting is conducted, it is important to know that the pastor--himself a recovered alcoholic/addict--kicks it off by announcing that the meeting has two texts--the Holy Bible and the Big Book of Alcoholics Anonymous. Members freely discuss their faith and recovery with God’s help. Roger will tell us a bit about himself, his work as a salesman, and his drinking and drug experiences. About his activities in A.A. And about his service to the growing Christian Recovery Movement. And this includes Roger's invaluable service to us at His Place Church which has hosted a number of our International Christian Recovery Coalition conferences.